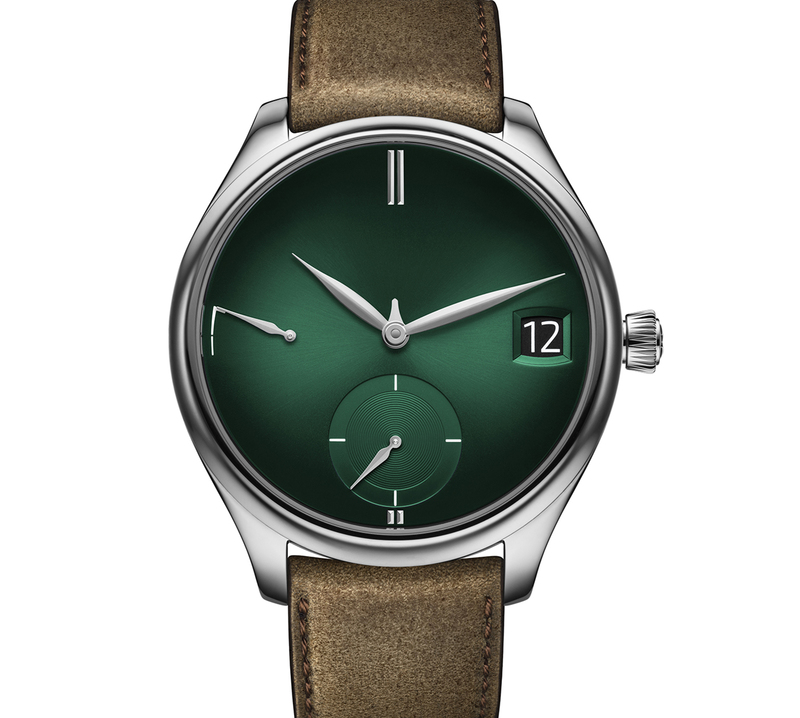 The minimalist perpetual calendar in brilliant green. H. Moser & Cie.’s perpetual calendar needs little introduction. With an approach led by simplicity, it’s a resolutely modern take on a traditional complication and easily one of the most elegant and minimalist perpetual calendars to date, save perhaps Ochs und Junior. It has been iterated in multiple incarnations in the Endeavour line as well as across collections, and even got a revamp last year, with the Endeavour Perpetual Calendar Purity – an enlarged and even cleaner version of the already minimalist original. 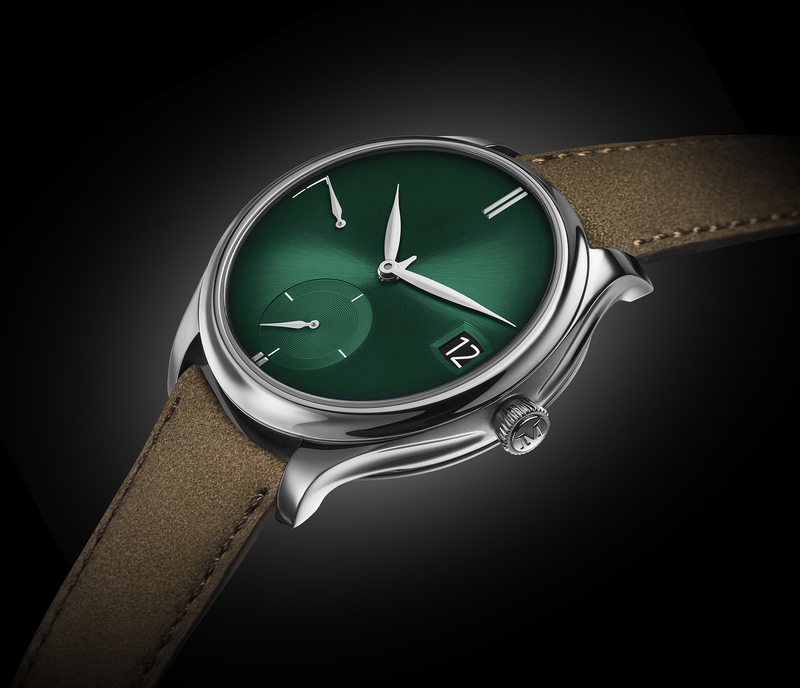 Now, Moser has unveiled a 50-piece limited edition Endeavour Perpetual Calendar Purity in the brand’s signature cosmic green. The case is in white gold and measures the same 42mm. The dial sports the emblematic graduated fumé finish and is rid of indices and logo. What’s left behind are the essentials: the power reserve at nine o’clock, a date display at three o’clock, small-seconds at six o’clock, a 12-hour marker and a month indicator in a form of a small central hand. The caseback reveals the HMC 800 calibre with a leap year indicator in the form of a star wheel. The hand-wound movement boasts a seven-day power reserve and allows the calendar to be set forward and backwards anytime. It also features Moser’s Straumann hairspring as well as interchangeable escapement which can be easily replaced during servicing. 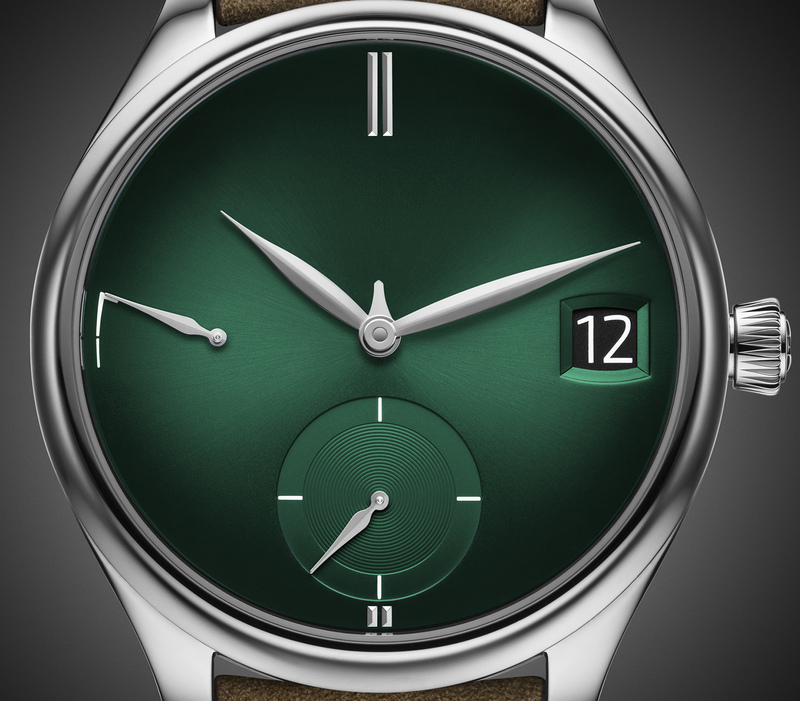 The Endeavour Perpetual Calendar Purity Cosmic Green (ref. 1800-0202) is a 50-piece limited edition and costs SFr54,000. The Apple Watch-inspired mechanical timepiece in new livery.